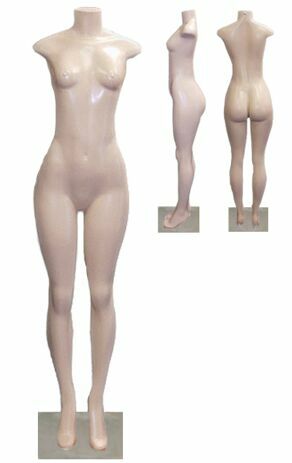 Brazilian style full round display mannequin is a great way to show off your merchandise with a Latin flair. Made of durable plastic, metal base. 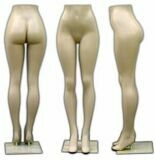 This model cannot wear shoes, support rod goes into the sole of foot. (Due to size, package is oversized and carrier charges according to dimensional weight). Color: fleshtone.